Luis Adolfo Sierra tells us in his book Historia de la orquesta típica: «Héctor Varela, lead bandoneon and arranger of the Juan D’Arienzo Orchestra, for ten years, identified himself with the trends of a genuine traditional origin, and his orchestra boasted, as major attraction, the precision of a difficult technical performance, in the middle of a very personal hasty rhythmic beat». And Jorge Palacio (Faruk) added: «And that is, exactly, what Varela strove for during his tango career: to play with his orchestra for dancers». He was born in Avellaneda where he spent all his childhood and youth. He graduated as accountant but he never worked as such. He had his first studies of bandoneon with the teachers of his neighborhood, he later attended the conservatory led by maestro Eladio Blanco with whom, time later, he would play at the bandoneon section of Juan D’Arienzo. Continue reading. Would you say that Héctor guided by his technical music skills took the art of tango to a new level? Listening to the music I feel the lively synergy that was created for tango. This level of difficulty must have heightened the dancers creativity and artistry. Hello Marianne! Thank you for your comment. 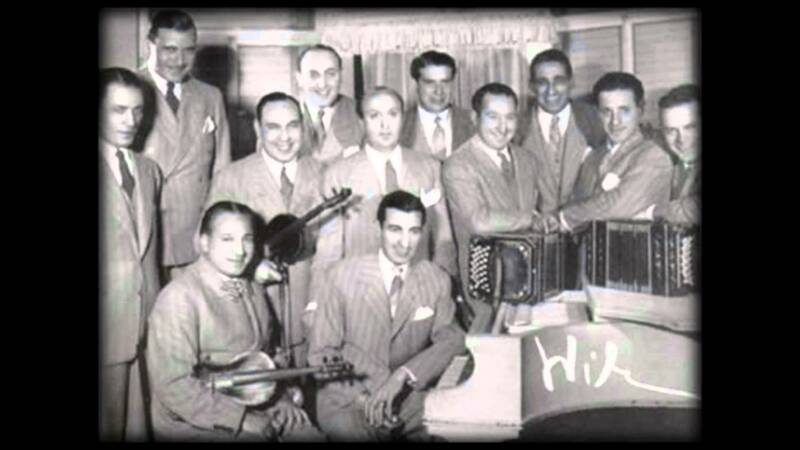 Héctor Varela was inscribed in the most traditional line of Tango, which implies that Tango is music, poetry and dance. He took this concept to the edge of his talent and the skill of his musicians. He is demanding for dancers do the same.